This far the “So You’re...” series has consisted of all music all the time. I’m a bit of a spaz, so I just go with whatever is inspiring me at the moment. Honestly, I struggled a bit this week coming up with a blog I could really get behind. If Pages was a proverbial mad-men style office, the waste bin would be full to the brim with prospective blogs that were halted at the two sentence mark. Then it happened, inspiration struck. Last night, I just really wanted to eat some Salsa Picante Tia chips and watch one of my favorite films ever: L.A. Story. 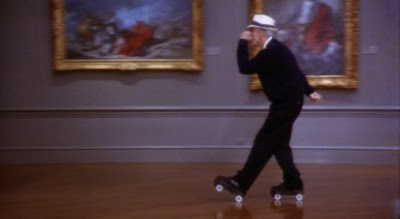 Steve Martin has been a very inspiring figure to me, I just love his brain and the white hair that sits atop his head. If you want a good read, I high recommend his autobiography “Born Standing Up” is a fantastic read. Yellow Band Straw Fedora / Mossimo Supply Co. Artistic Pink and White Roller Skates / Chicago Skate Co.
L.A. Story is a romantic comedy written by and starring Steve Martin- and if you do or have lived in Los Angeles you will see that not much has changed since 1991. It’s a bit over the top, but completely sweet and relatable. Truth is, I’ll always root for any film in which the leading women march to the beat of their own drummer. 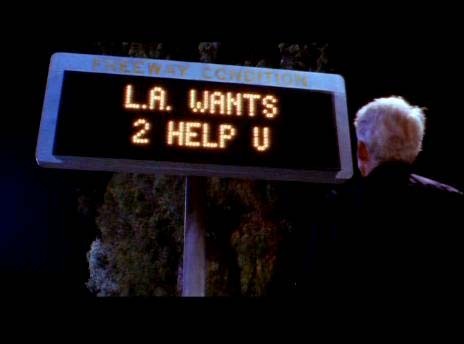 L.A. Story follows the life of “Wacky Weather” meteorologist, Harris K. Telemacher and his relationship with himself, a supernatural freeway sign and two women: SanDeE* (played by Sarah Jessica Parker) and Sara (Victoria Tennant). SanDeE* is the epitome of Venice beach California free-spirit PYT, who enjoys spinning in circles and just living in the moment. Sara is witty, genuine and just seems to “get” Harris- standing out from the crowd with her Tuba playing and lack of pretension. 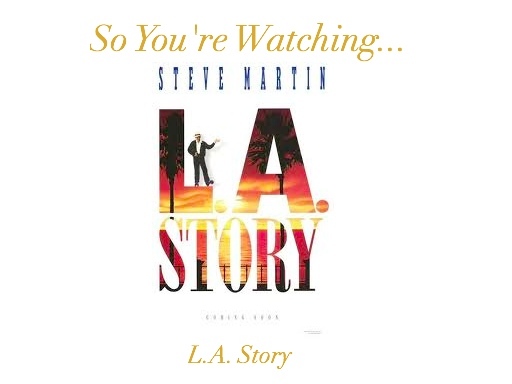 One of my favorite lines in the film, is when we first meet Sara at a typical “California Cuisine” eatery popping in straight off a flight from London and claiming that her jet-lag is nothing that “some sleep or a good f*ck won’t cure.” Oh Steve Martin, your writing- get out of my brain! 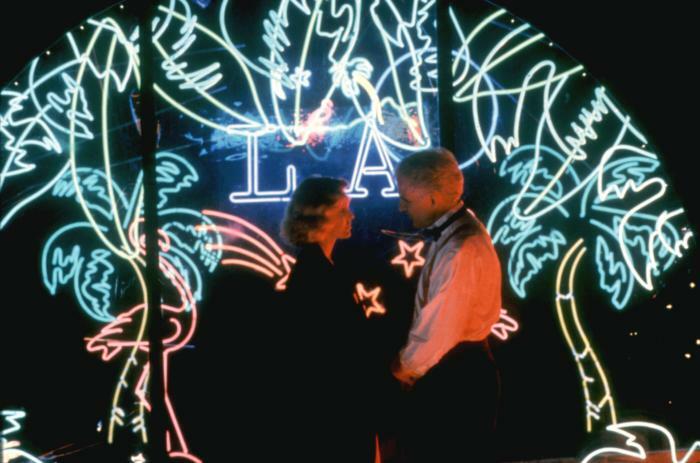 Guided by a magical freeway sign, we go through the entire adventure between his complicated relationship with each woman and their various obligations. "I'll have a twist of lemon"